A healthcare CRM is basically a customer relationship management system that is specifically designed for use by healthcare organizations. Healthcare CRMs bind together multiple sources of data (patient and consumer demographics, financial, behavioural, social, psycho graphics, clinical, call centre, website, provider credential, etc. ), in order to provide a detailed view into patient habits & activities. The main motive of a healthcare CRM is engaging, acquiring and retaining patients. Meanwhile, CRM System for healthcare lists individuals, not as patients, but as customers, leads and prospects. It offers comprehensive visibility into the development of these relationships and helps in influencing them across the various communication channels, like, call centre, live chat, website, social media and appointments. It helps the hospitals and healthcare institutions in personalizing their offering on the basis of patients’ data-rich profiles which draw on the effective synergy of CRM & EHR systems. This way, with the help of targeted content & proactive patient-engagement, it is possible to build fruitful & successful relationships and encourage higher loyalty. Why choose CRM for healthcare? Applying robust analytics to your rich marketing database, Healthcare CRM technology helps the hospitals in creating a list of targeted consumers who are most likely to require & respond to service-line or procedure-based marketing campaigns. It helps in identifying best patients, then help the hospitals find prospects in the market who look like them. It is easy to create a list by simply selecting from a comprehensive library of ‘Ideal Target’ formulas, thus quickly pinpointing the qualified prospects, best prospects, or patients for your campaign, applying filters, & refining your counts to match campaign budget. It enables you to show that your digital marketing and print campaigns are generating results, thus allowing you to attain a higher ROI by connecting campaign activity to leads to appointments and process revenue. Easily track multi-channel campaigns with real-time dashboards & visualizations, or run advanced reports connecting your hospital revenue to leads and these leads to campaign activity. What are the Use Cases of Healthcare CRM? Here is the list of use-cases from small, mid-size and large hospitals as well as from outpatient centres. What are the benefits of a Healthcare CRM Software? It helps in measuring the success of engagement tactics using configurable reporting. It analyses& segments consumer and patient populations. It measures and tracks multi-channel tactics (SMS, direct mail, email). It allows to strategically plan and execute marketing campaigns using actionable data insights. It enhances patient engagement with personalized outreach based on stored data. It create a 360-degree view of consumers & patients, integrating data from multiple sources for a complete profile. e-Billing options for patient & other clients who access healthcare services. Access to Self Help services for registration & intake. Initiating & tracking patient interaction via emails, text messages, calls, etc. Setting reminders & alerts for important patient events, appointments, etc. Creating custom reports for comparing ROI from the launched campaigns, track the rate of patient no-shows, etc. What do consider before implementation of a Healthcare CRM? Well, before you go out to find a Healthcare CRM Software developer, you first need to understand your goals. What are the main use cases? What particular functionalities you will require? What is the driving force behind a healthcare CRM purchase? For instance, a solution supporting API integrations with core marketing systems, like marketing automation and a content management system is crucial if your goal is creating truly personalized experiences in a scalable & measureable manner. Next you need to consider what will be your data sources. Like from where the healthcare CRM is going to pull information? In case you have a call center, an EHR system, & a credentialing system, then your Healthcare CRM is going to integrate data from these sources, and also from indirect sources, such as website traffic & subscription opt-ins. Recognizing the data sources quite early allows you the opportunity to assign responsibility export data to CRM and also choose a CRM with the appropriate amount of bandwidth for your requirements. How a healthcare CRM can contribute in improving ROMI? Owing to the complexity involved in the calculation of return on marketing investment (ROMI), you can’t just rely on manual math. Rather you need a robust healthcare CRM that helps in planning, implementing and reviewing marketing campaigns. A healthcare CRM is useful in tracking marketing progress all along the campaign lifecycle, thus giving out real-time information on performance. Healthcare CRMs also produce comprehensive reports, thus attributing revenue to specific campaigns & tactics. This way, healthcare marketers get to see which campaigns, and also what specific aspects of these campaigns) are not contributing to generate leads, but helping to acquire patients and generate revenue for health system. Taking CRM on mobile platform will enable staff and employees to access required information anywhere any-time. More over It is extremely beneficial for your field force and marketing team. Thus, developing a healthcare CRM mobile application is a great Idea. It is just amazing to see this transformation of relationship management application into a new system that is capable of becoming anything a health provider desires to, from billing and collaboration to equipment tracking and performance evaluation. This is how the CRM functions, with it being a bottomless box with myriad of alternative tools that can be configured in any way the user desires and requires it. Providers just need making a wish, and they definitely wish for internal & external optimization via multiple processes. What does the future holds for Healthcare CRM? So, right now Artificial Intelligence (AI) is trending and is found everywhere, hence it is expected to eventually get integrated with CRMs as well, thus enhancing customer engagement in healthcare further. AI will be able to analyse tons of automated data collected by Healthcare CRM, consisting of patient-generated health data, schedules, emails, etc. It will be able to run machine-learning & predictive analytics algorithms with NLP thus offering multiple insights, recommendations & predictions on the marketing campaign (s), patient interaction and collaboration within team. As it take immense time and efforts to develop an artificial intelligence product and its testing, we can expect that it will take around one year more for us to witness an AI-powered healthcare CRM Solutions. 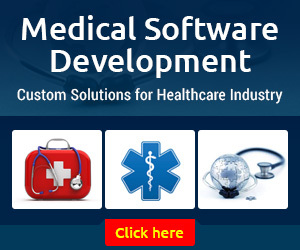 How a Healthcare CRM Software Development Company can help you? In the arena of healthcare, CRM is capable of doing a lot more than to simply replace sticky notes on caregivers’ desks. 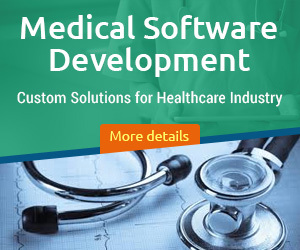 A Healthcare CRM Software Development Company with the help of great team of designers, developers, QA & Testing, can help you in unfolding system’s potential while abiding by the project timelines and budget. Full-cycle competency: Usually, the development company starts with CRM consulting and a free proof-of-concept, aligning your requirements and expectations. Then it takes you through project stages, starting from Business Analysis to Maintenance, with minimum efforts on your part. Website Personalization: The right firm helps in building trust, increases engagement and stimulates conversion by serving only relevant content. This comprise of personalized landing pages, services, promotions and educational materials selected on the basis of each visitor’s or registered patient’s unique story. Integration: The Healthcare CRM Software developers integrate CRM solutions with existing enterprise-level systems, like RMS, PMS, EHR & patient-support facilities (patient portals, online appointment booking, call centre, live chat). Multi-platform CRM: Using its expertise and resources, the development companies usually delivers healthcare CRM solutions across, web, mobile & desktop platforms, also including cloud-based options. What is the cost to develop a Custom Coordinated Care System? To start with, an efficient healthcare software development company should be able to develop a CRM system with various complexity and thousands to millions of active customers in a CRM system. It should offer customization when applicable, comprising of custom add-ons & tailored workflows. Quick time-to-value by exploiting out-of-the-box features of Microsoft Dynamics 365 or Salesforce CRM. These integral factors are considered while calculating the cost of Custom CRM System for healthcare Industry.Once you are sure that Healthcare software development company will be able to provide you with these essential features, give it a go.